Paul Cook has revealed Wigan Ahtletic ace Gavin Massey is set for a lengthy spell on the sidelines. 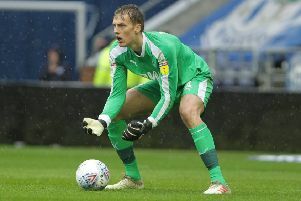 Massey, who was outstanding in Latics’ midweek win over Stoke last week, pulled a hamstring in the defeat to QPR, and no timeframe has been put on his return. Cook said: “Gavin’s not good. I think he’s going to be out for a period of time which is very disappointing. “Michael Jacobs obviously doesn’t make the game and it’s disappointing because those two have been doing really well, like every member of the squad they are important to us. Dan Burn continues to remain on the sidelines and, similarly to Jacobs, the hope is he will be back in action following the international break. Darron Gibson is continuing his recovery from a groin injury and is edging closer to a return. Latics return to the DW Stadium tomorrow afternoon to face Rotherham, and Paul Warne’s men also came up from League One last season.